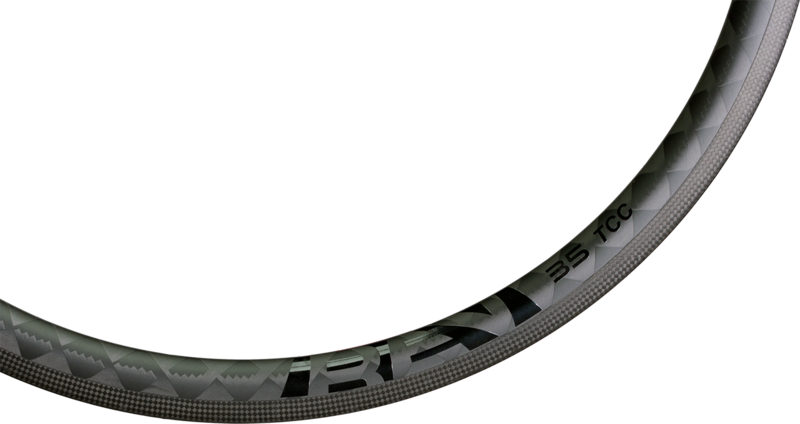 Filament wound full carbon tubeless, or clincher rim, 35mm profile. Rim brake. The 35mm deep and 27mm wide rim profile and the +45/-45 degree carbon fiber winding angle results in wheels that are laterally very stiff, but vertically compliant increasing the responsiveness and road holding ability when compared to traditional carbon wheels. The rims are compatible with tubeless or clincher tires. 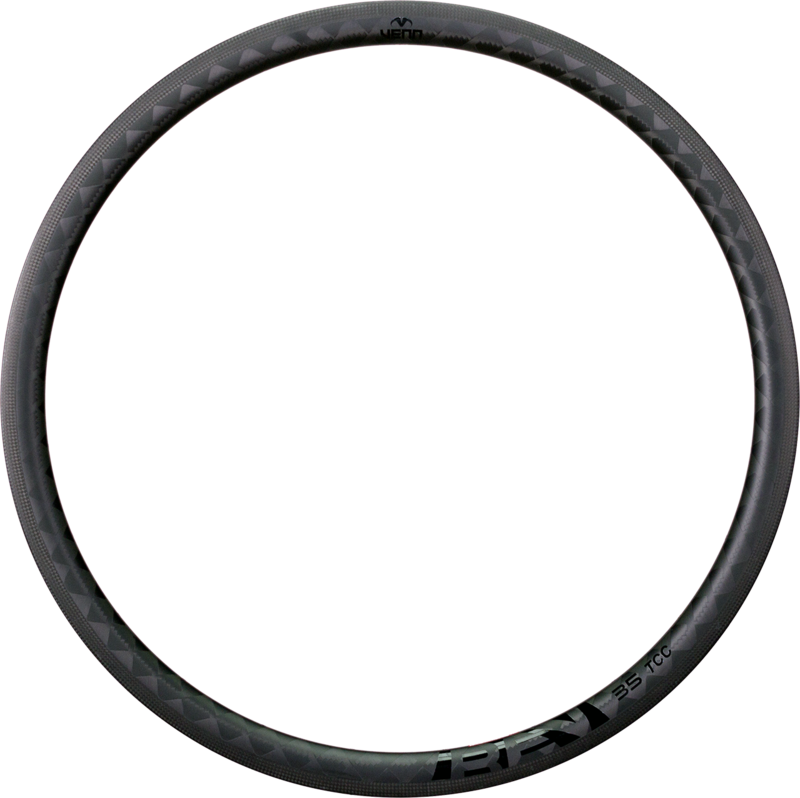 Venn Rev 35 rim series is the only OEM rim with wind tunnel data. You can be confident that our rim does not just look aerodynamic, but that it actually is aerodynamic. 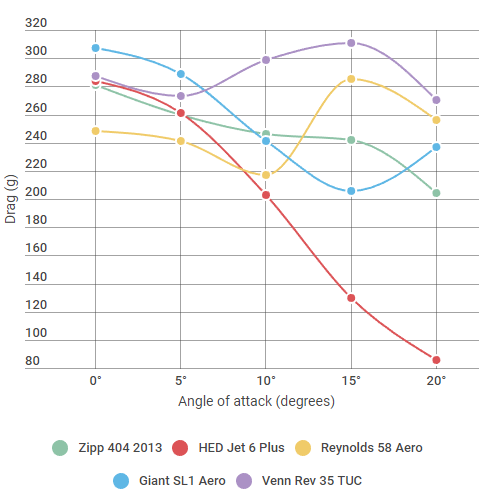 The results show that the Venn Rev 35 rims compare very well to much deeper profile rims while offering superior handling in cross winds and lower weight.